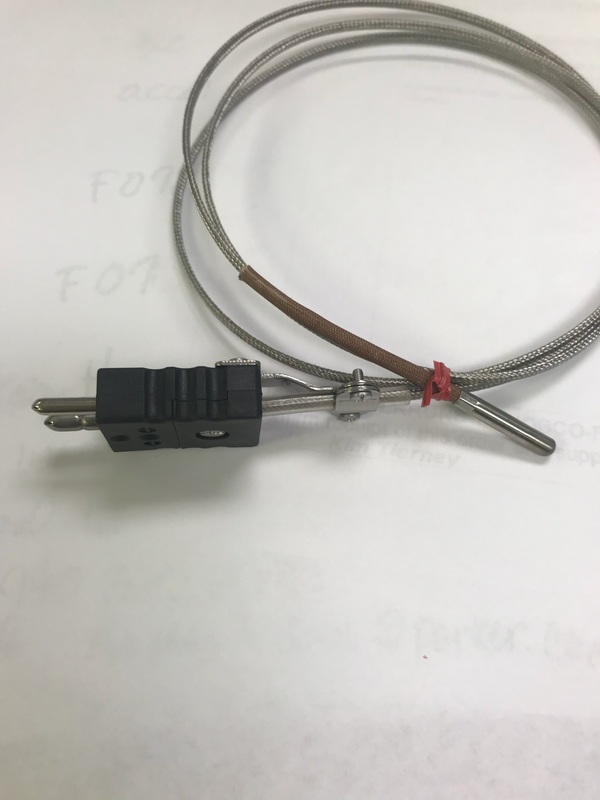 Thermocouple 19785 Is A Type J Grounded Surface Mount Thermocouple With A #10 Stud Hole Ring Terminal And A Standard Two Pin Plug. This Type J Thermocouple Has 48" Long Fiberglass Leads With Stainless Steel Braiding Protection. Compare These Thermocouples To 70xjsgc048d. 19829 Type J Thermocouple, 3/8" L Bayonet Tip With Two Prong Male Plug, 1-1/2" L Adjustable Clamp Relief Spring, And Cap, 48" Length Teflon Leads With Stainless Steel Overbraid, Thermocouple Has A Tack Welded Spring To Fit In Narrow Holes. Compare This Thermocouple To Jba-9048. 20112a Type J Thermocouple, 3/16 Diameter By 1" Probe Bayonet Tip With A Spring Stop At 5/16" From The Tip Of Temperature Sensor . Thermocouple End Has A Two Prong Standard Male Plug, A 12" L Adjustable Clamp Relief Spring, And A Cap. This Thermocouple Is 48" Long With Stainless Steel Braid Protection And It Is Grounded. This Temperature Sensor Is Similar To Oem Part Number 11djwgb048d.